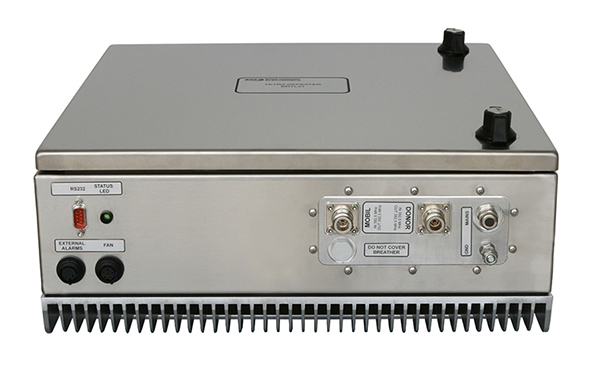 This repeater is intended for use in 400 MHz out- and indoor TETRA systems. Based on the latest digital filter technology this model offers freedom for the users to select the best possilbe filter characteristics for the actual application type. It has perfect EVM parameters of <1% and low power consumption figures. Supplied in a compact box, the BRTL31 is an ideal choice to be used in areas where the flexible filter selection is essential for smooth operation and/or network design. The unit can be monitored and set by local and remote control software.